General Hospital (GH) spoilers for Friday, January 26, tease that Dante (Dominic Zamprogna) will give Jordan (Vinessa Antoine) updates. He’ll spot her at GH and announce that Faison (Anders Hove) recently left Anna’s (Finola Hughes) house. Dante and Jordan will hope they can find Faison before he wreaks more havoc. Unfortunately, it’s a little late for that! Faison’s already at Crimson and he’s got some hostages. Peter (Wes Ramsey) and Maxie (Kristen Storms) will fear for their lives as Faison waves his gun in their faces. General Hospital spoilers state that some tense moments are coming up. Meanwhile, Anna will decide she has to take Faison down. She’ll tell Finn (Michael Easton) her plans and he’ll urge her to be careful. Sonny (Maurice Benard) will have concerns about Anna’s mission. He’ll feel like she’s too close to the situation. Sonny knows Faison’s obsessed with Anna, so he’ll worry that she can’t get the upper hand. When Faison wants something bad enough, it tends to cause big problems. Back in Nina’s (Michelle Stafford) office, Faison will fire his weapon. He’ll have an evil look in his eyes as the shot rings out. Carly (Laura Wright) will be in the building when she hears the “pow.” She’ll think it sounds like there’s been a shooting upstairs. General Hospital spoilers say Carly will inform a staff member so he can call the cops. However, she might fill Jason in as well. Carly will meet with Lucas (Ryan Carnes) as well! Jason will indeed get a shocking phone call on Friday. He’ll hear some dire news and promise that he’s on his way. Will Jason learn about the shooting and rush over? GH fans can expect Sonny and Jason to show up somewhere just in time. A Port Charles resident will get shot soon, but maybe Jason and Sonny can prevent more destruction. Of course, Lulu (Emme Rylan) and Dr. Obrecht (Kathleen Gati) are also in a jam. They’ll still be trapped with the lethal gas canister Faison left behind. As they struggle to breathe, Lulu will cry out for help. If no one comes to their rescue, Lulu may have to get creative. General Hospital spoilers suggest that she’ll get a bright idea, so maybe they don’t need a knight in shining armor. Regardless, GH viewers won’t want to miss this action-packed episode. The drama’s really heating up! We’ll keep you posted as other details emerge. Stay tuned to the ABC soap and don’t forget to check CDL often for the latest General Hospital spoilers, updates and news. 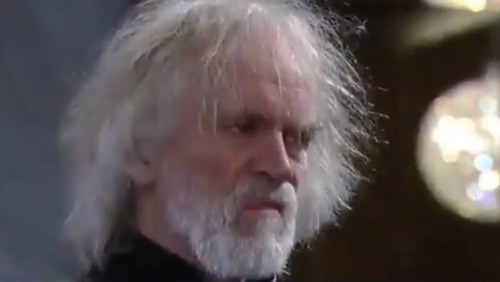 General Hospital Spoilers: Nathan Saves Dr. O from Faison’s Wrath – Tragic Rescue Costs Him His Life?